EXPERIENCE Dr. Eng is an orthodontist and limits his practice strictly to orthodontics. He has been in practice straightening out teeth, correcting malocclusion (bad bite) and perfecting smiles in Southern California since 1996, and has successfully treated thousands of satisfied patients with traditional braces and Invisalign and ClearCorrect. ORTHODONTIC EDUCATION Three years of post-doctoral, graduate specialized orthodontic training at the University of Medicine and Dentistry of New Jersey. Graduated among the top in his class with specialist certificate (degree) in orthodontics. Dr. Eng also attends many ongoing continuing courses annually to stay current in orthodontic treatment techniques so that all patients receive the best possible care ever. DENTAL EDUCATION Four years at the University of Missouri-Kansas City School of Dentistry. Graduated with honors among the top in his class with Doctor of Dental Surgery (DDS) degree. UNIVERSITY EDUCATION Graduated with honors among the top in his class from University of Missouri in Kansas City, Missouri earning a Bachelor of Arts (BA) degree in biology. Dr. Eng is married with two daughters, one in college and one in high school, and is a resident of Orange County. 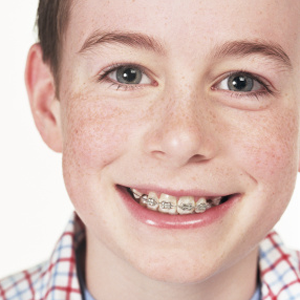 For nearly two decades, countless patients have entrusted their orthodontic care to Dr. Eng. You too can rest assured that Dr. Eng is the right orthodontist to take care of your and your entire family’s orthodontic needs. Thank you for today’s visit and the opportunity to provide you with excellent orthodontic treatment and we look forward to welcoming your whole family to our growing family of satisfied patients.